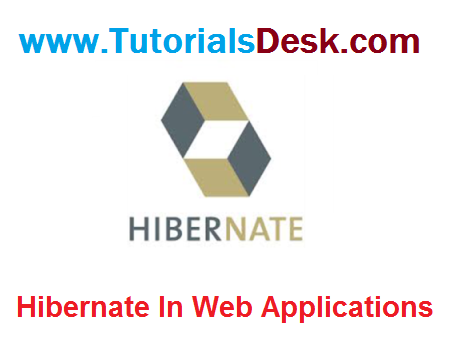 Here, we are going to create a web application with hibernate. For creating the web application, we are using JSP for presentation logic, Bean class for representing data and DAO class for database codes. This page gets input from the user and sends it to the register.jsp file using post method. 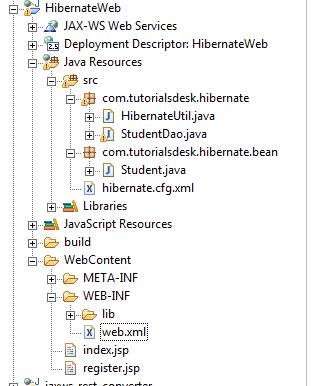 This file gets all request parameters and stores this information into an object of User class. Further, it calls the register method of UserDao class passing the User class object.